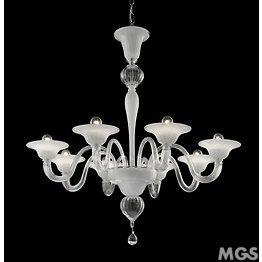 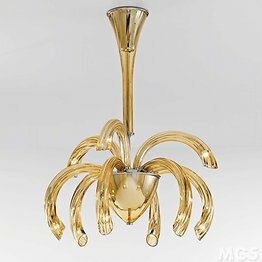 Chandeliers with modern design, our designers work with untiring passion to create beautiful modern chandeliers and then our masters skillfully mold the vitreous material to make them come true, it's like a dream come true. 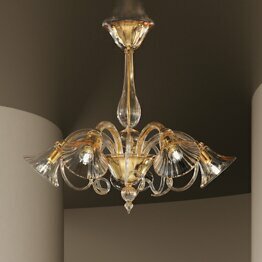 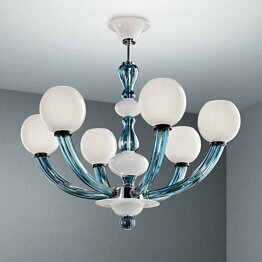 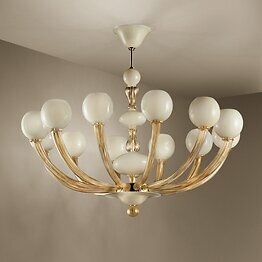 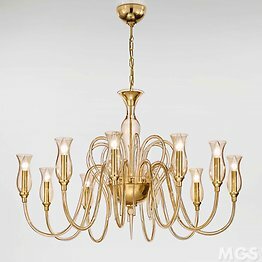 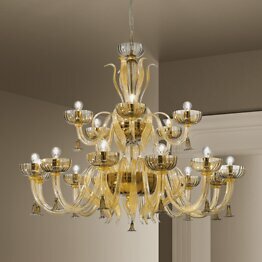 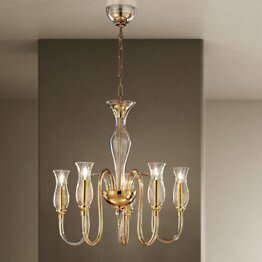 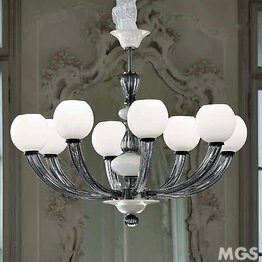 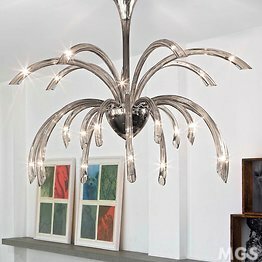 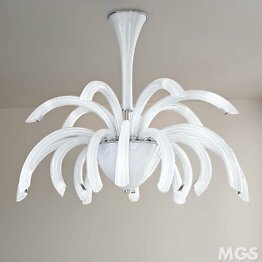 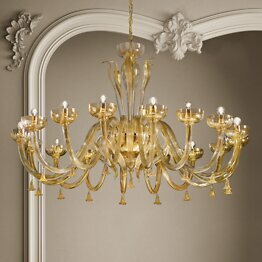 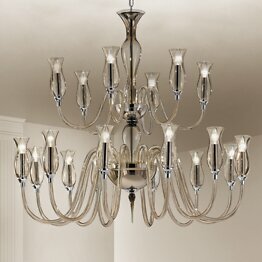 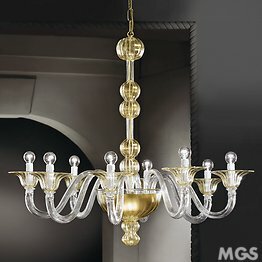 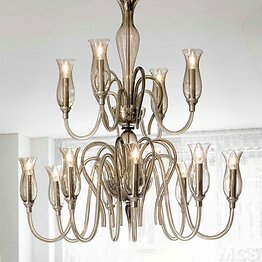 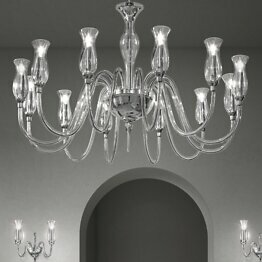 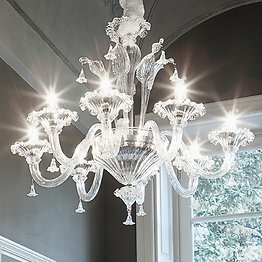 Our line of modern chandeliers represents an incredible challenge, our main objective is to create new designs with a history inside, some products have been conceived as an evolution of the classic products making them contemporary and suited to the most current styles that require simple and clean lines but also to new interpretations of vintage styles such as Space Age. 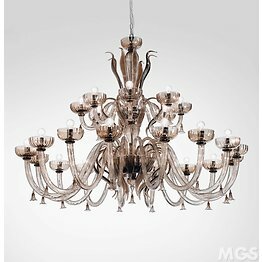 The colors of our chandeliers are made of fire with natural minerals and not with chemical paints that also have a low resistance to UV rays. 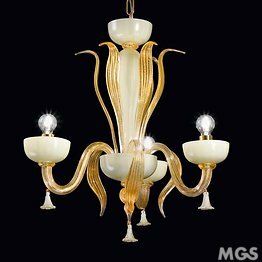 The colors available are: Crystal, Amber, Fumé, blue, jacketed milk counter in crystal (through three layers of glass to give brightness to the white color), Amethyst, Real Gold 24K hot applied. 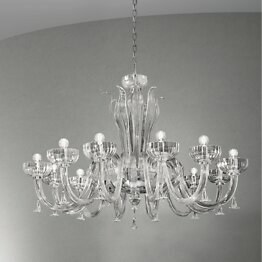 Quality control is always the same as the love we put into our work. 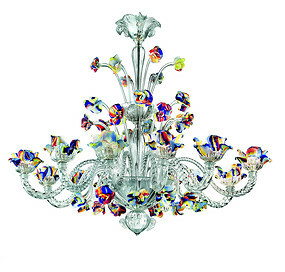 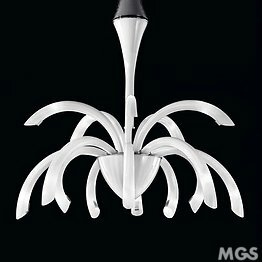 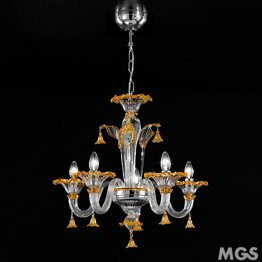 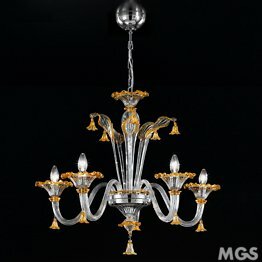 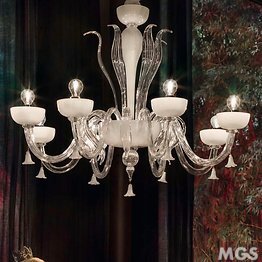 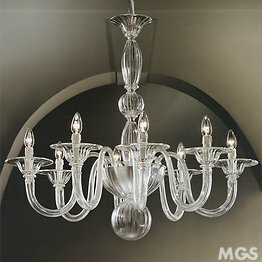 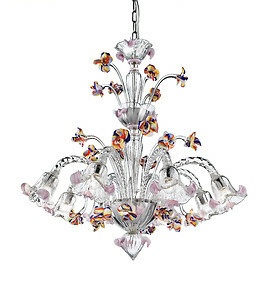 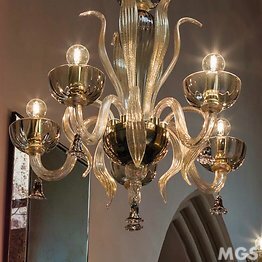 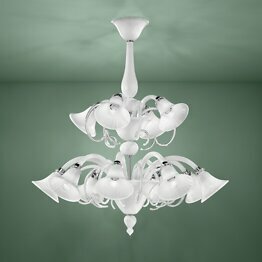 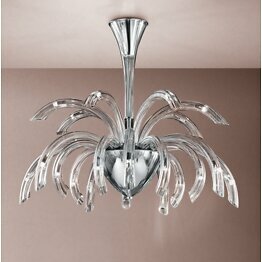 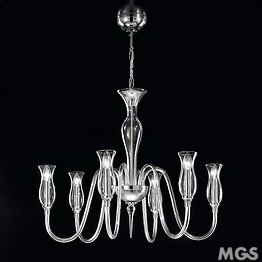 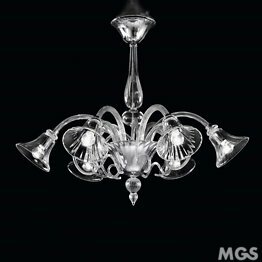 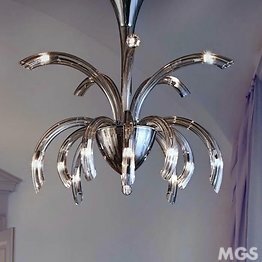 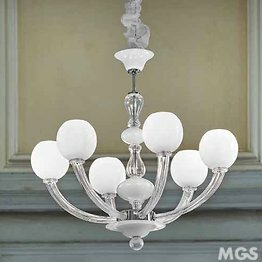 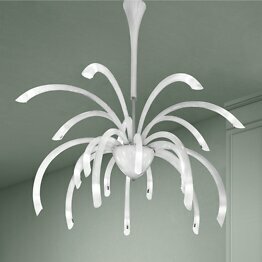 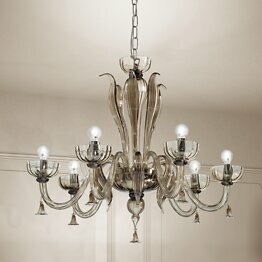 Because a MGS chandelier is not just an object that illuminates, but it is History. 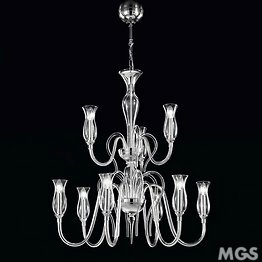 There are many ways to make a modern chandelier, we always choose the highest quality through an obsessive search for perfection and detail.